Becoming a seaman is considered as a promising job that’s why it’s one of the most-sought professions by many male Filipinos. Unlike working abroad, going on board does not require you to have a visa. Instead, you will need a Seaman’s Identification Record Book or the Seaman’s Book. You can apply for Seaman’s Book at Maritime Industry Authority or MARINA. Before you proceed to the MARINA office, make sure to have all the requirements. This will save your time going back and forth. The Seaman’s Identification Record Book serves as a passport for aspiring seamen. It contains all the important details pertaining to trainings, career, and experience of a seaman. It also includes information such as the name of the ship, place of registry and official number, a signature of master, date and place of embarkation/disembarkation, and gross tonnage rank. The MARINA enforces strict rules for personal appearance. All seafarers with appointment schedules must appear physically at the MARINA on the specified date and time for image capturing. 1. Select the type of document (SIRB,COP or Licensure) to be applied for and choose an appointment DATE and TIME. Fill out online application form completely, download and print the application form with the appointment control number, scheduled date and time. Ensure that your scheduled appointment is CONFIRMED. Only confirmed appointment will be entertained/ accommodated by MARINA. You can also check your confirmed appointment and print an application form from your email. You should bring the printed application form to the MARINA on your scheduled date and time of appointment. MARINA SCDD office: 5th Level SM City Manila, Concepcion St. corner Arroceros St., Manila. Parkview Plaza 984 Taft Ave. corner T.M. Kalaw Ave., 1000 Ermita Manila PhilippinesYou must be at the office thirty (30) minutes before your scheduled time. Early/Late comers will not be entertained. 3. Present your printed application form to the appointment counter for verification, otherwise, you will not be admitted. Get your queue number. 4. Make sure that you have the complete set of the applicable documents for SIRB, COP or LICENSURE with photocopies before proceeding to the Evaluation Counter. Applications with incomplete documentary requirements will not be processed. 5. At the evaluation counter, please wait for your queue number to appear on the monitor that indicate the window you will go to. 6. After evaluation, proceed to the Cash Section and pay the applicable processing fees (see application processing fees). 7. After payment, proceed to the windows/counters for Image Capturing. b) have it delivered by courier to your home. If availing of the delivery service, proceed to the Delivery Counter to pay for the delivery fee. The job of a seaman is never easy. You need to undergo training on how to handle different settings or scenarios, as well as proper management and organizing a cruise. Working in an international vessel would mean higher pay and the opportunity to travel to different parts of the world. Likewise, the benefits of a seaman are another factor that makes it a promising job. 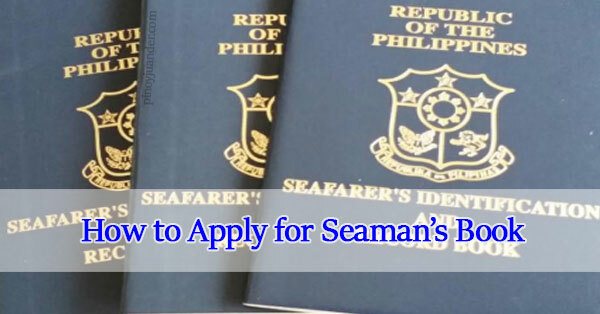 If you want to be a seaman, you should start gathering all the requirements and apply for the Seaman’s Book.